Gary Robert Baird, 73, of Berthoud, Colorado, passed in Loveland on Wednesday Sept 5th, 2018. He was born September 5th, 1945 in Belloite Kansas, to Robert and Iola Baird. He attended schools in his early years in the Belloite, Kansas and Brighton, Colorado areas and later in the Loveland area. Gary spent his entire adult life in the northern Colorado area. He married the love of his life Katherine “Katie” Betz on March 9th, 1965 at the Betz family farm east of Berthoud. They had 53 wonderful years together and truly were always best friends. Gary was a talented chef and restaurant manager. He managed “The Top” restaurant in Ft Collins in the late 60’s and early 70’s and then the Farm Fare Café in Severance Colorado for a number of years before fulfilling his lifelong dream of opening his own bar and nightclub. Panama Reds opened in Ft Collins in 1977 and was for many years “the spot’ in Ft Collins. He had a passion for bringing the best in musical entertainment to Panama Reds which included Jerry Jeff Walker, The Starlight Ramblers, New Grass Revival and many other great acts. Many lifelong friendships were forged at “Reds”. He later became the general manager of Johnsons Corner Truck stop for 14 years in the late 80’s and all through the 90’s. He retired in 2006 and spent his retirement years enjoying time with his wife, kids and grandchildren. He enjoyed gardening, fishing, watching sports and playing fantasy football. He was a champion of his league many times and enjoyed the camaraderie in his league. He had a special passion for watching his grandsons Beck and Sam play sports, especially high school football. Gary supported his granddaughter Faith and her love of horses by making sure she had a brand-new Breyer every Christmas. He was a Bronco maniac and never missed a game. You never had to ask where Gary was on Sunday afternoons. If the Broncos were playing, he was watching the game with his sons, grandsons or his good friend Ed Walraven. Gary was a wise and patient man. He rarely got mad or angry and always had a wise word of encouragement for those facing adversity. He was kind and generous to a fault. He was a man’s man. He never told a lie, always kept a promise and could always be counted on when things got tough or someone was in need. He made it a point to help his nieces and nephews with first jobs, or other support whenever he could. He was a grandpa and a favorite uncle to many kids. He loved to make children happy. When his youngest grandson Sam was in pre school he had a fascination with the automatic car wash. He picked Sam up on many afternoons from preschool and they went to the car wash everyday so he could enjoy Sam enjoying the car wash. He loved and cherished those car washes and his car was always very clean. Gary touched many lives and his gentle smile will be missed terribly by his wife, his entire family and many friends. Gary is survived by his wife, Katherine (Katie) Baird, his sons Brad (Dina) Baird and Chris Baird, his granddaughter Faith Baird, his grandson Sam Baird all of Berthoud and his grandson Beck Baird of Greeley. He is also survived by his sister Debbie Hudgins, his special friends Loxey Eldridge and Ed Walraven, numerous nieces, nephews, brothers in law, sisters in law and many friends. A daughter, Kimmie Baird, a son Shawn Baird, a brother Michael Baird and a sister Patricia Stewart preceded him in death. 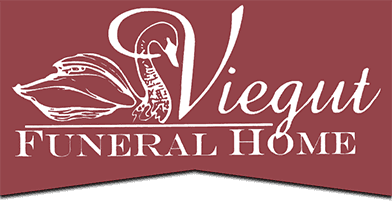 A Celebration of Life will be held at Viegut Funeral Home on Tuesday, September 11, 2018 at 1:00 P.M. with interment at Loveland Burial Park. Viewing will be held at Viegut Funeral Home on Monday, September 10, 2018 from 4pm-7pm.